California’s eight freestanding children’s hospitals, their clinics and affiliated physicians are the backbone of pediatric care in California. They are staffed and equipped to see children at every stage of acuity across the spectrum of disease and injury, treating everything from common earaches and asthma attacks to pediatric organ transplants, cardiac surgery and cancer. They protect and extend children’s lives through outstanding patient care and safety, internationally respected pediatric research, and training for the pediatricians of tomorrow. All children require health care that focuses on their unique needs and involves their parents from start to finish. Children with special health care needs are particularly in need of care provided in places designed exclusively for kids. Children’s hospitals provide care that keeps kids healthy and in school, preparing them for successful, productive adult lives. Children’s hospitals deliver the highest quality of care. Studies show that hospitals that receive higher volumes of cases provide more effective care. For example, a study found that children undergoing high-risk procedures had significantly lower mortality rates in hospitals with a high-volume of procedures than in low-volume hospitals.1 In addition to lower mortality, patients treated in high-volume hospitals have lower complication rates, fewer misdiagnoses, and reduced lengths of hospital stay (on a risk adjusted basis).1,2,3,4,5 Because children’s hospitals specialize in and receive higher volumes of complex pediatric cases than other hospitals, they provide safer and more effective care. 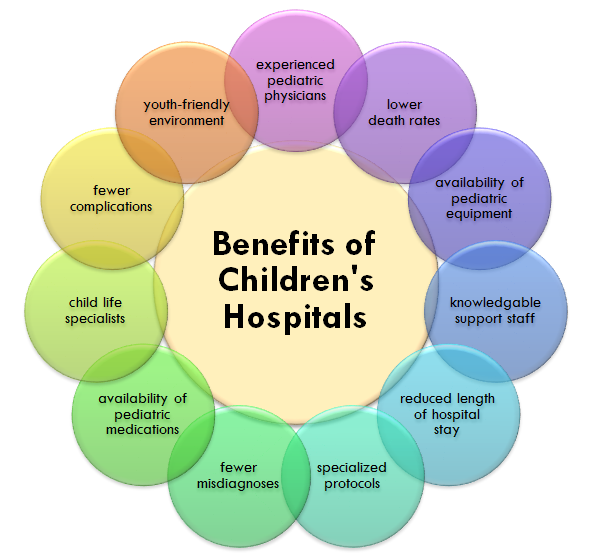 Children’s hospitals are most prepared to meet children’s needs. Child patients have different needs than adults. For instance, children’s bodies require unique medical equipment because they are smaller. A recent report found that only 6% of hospitals across the country had all recommended pediatric equipment in their Emergency Rooms.6 Children’s hospitals, on the other hand, are constructed and built specifically to treat children. Everything from the height of chairs, to the colors chosen for the walls, to the equipment used is age appropriate for the patients they serve. In fact, research has found that children’s hospitals are the most prepared based on the American Academy of Pediatrics (AAP) and American College of Emergency Physicians (ACEP) guidelines.7 These AAP/ACEP guidelines include various important aspects for treatment, such as availability of pediatric equipment, special medications, child-specific protocols, and a youth-friendly environment. Children’s hospitals have the most experienced staff. Being treated by staff that specializes in pediatric care makes a difference. 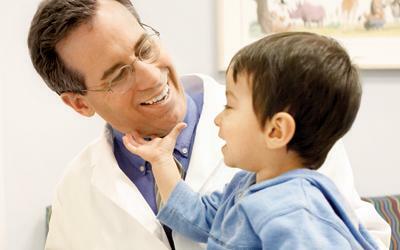 For example, pediatric general surgeons – who predominantly work in children’s hospitals – deliver better outcomes for children than general surgeons.4 Along with skilled physicians, other child-friendly staff such as knowledgeable nurses and child life specialists are found at children’s hospitals. 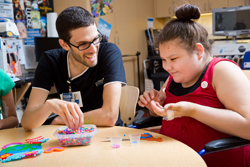 Child life specialists are health professionals who consider cognitive, emotional, and physical individuality in child patients in order to provide personalized care. These certified specialists ensure that children receive age-appropriate preparation for procedures, effective coping strategies, education, and developmentally-appropriate activities during play time. Together, professionals in children’s hospitals holistically support children to provide the best patient care possible. 1Chang, R-K. R., & Klitzner, T.S. (2002). Can Regionalization Decrease the Number of Deaths for Children who Undergo Cardiac Surgery? A Theoretical Analysis. Pediatrics, 109(2), 173-181. 2Chamberlain, L.J, Fernandes, S.M., Saynina, O., Grady, S., Sanders, L., Staves, K., & Wise, P.H. (2015). Variation in Use of Pediatric Cardiology Subspecialty Care. Journal of the American College of Cardiology, 66(1), 37-44. 3Tilford, J.M., Simpson, P.M., Green, J.W., Lensing, S., & Fiser, D.H. (2000). Volume-Outcome relationships in Pediatric Intensive Care Units. Pediatrics, 106(2), 289-294. 4Langer, J.C., & To, T. (2004). Does Pediatric Surgical Specialty Training Affect Outcome After Ramstedt Pyloromyotomy? A Population-Based Study. Pediatrics, 113(5), 1342-1347. 5Bazzani, L.G., & Marcin, J.P. (2007). Case Volume and Mortality in Pediatric Cardiac Surgery Patients in California, 1998-2003. Circulation, 115, 2652-2659. 6Middleton, K.R., & Burt, C.W. (2006). Availability of Pediatric Services and Equipment in Emergency Departments: United States, 2002-03. Advance data from vital and health statistics, 367, 1-16. 7Gausche-Hill, M., Schmitz, C., & Lewis, R.J. (2007). Pediatric Preparedness of US Emergency Departments: A 2003 Survey. Pediatrics, 120(6), 1229-1237.